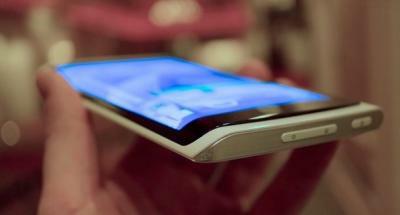 Samsung first unveiled the wrappable YOUM prototype that you see below in January 2013 - a year and a half ago. While the company is already producing flexible OLEDs, and have adopted one in the Galaxy Round, they have yet to release a product with a display that curves around the edges. According to reports from Korea, Samsung has now begun trial-production of panels that can be wrapped around edges (i.e. with a smaller curvature radius). They are still facing some technical issues with the plastic substrate, so real mass production is not expected soon. But Samsung may release a "technology-demonstrator" product, a limited-volume device just to show off the technology (as they did with the Galaxy Round). 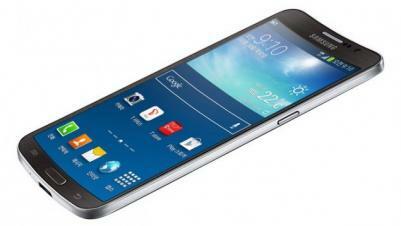 Samsung is expected to launch the Galaxy S5 in a few months, and there are many rumors regarding this upcoming phone. The latest report from Korea says that SDC started producing 5.25" WQHD (2560x1440, 560 PPI) AMOLED panels that will be used in the GS5. The display uses the same Diamond Pixel arrangement as in the GS4. 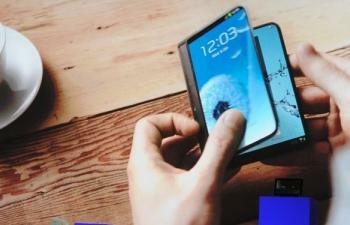 Earlier rumors suggested that Samsung will adopt a flexible YOUM OLED for a premium version of the GS5. As a reminder, the flexible OLED in the Galaxy Round (which can be considered a Note 3 variant) is not a YOUM display as it is uses a glass cover. According to the rumors, the phone will be released in 2014 (probably the second half of the year). Samsung hasn't decided yet whether this will be a Galaxy Note phone, or a Galaxy S one, or an altogether new class of phones. The OLED Association posted an interesting article today in which they say that Samsung's upcoming Galaxy Note 3 phone (phablet?) will use a YOUM display (a plastic-based unbreakable flexible OLED). Samsung will unveil the new phone at IFA 2013 (September) and will launch it in Q4 2013. Samsung YOUM displays use a plastic (Polyimide) substrate, an LTPS backplane, direct-emission RGB patterned OLED sub pixels and thin-film encapsulation (using Vitex's multi-layer technology). It's not known yet what the size and resolution of this particular display, but the OLED-A estimates it will be at least 5.9" in size, but probably will not achieve Full-HD resolution. 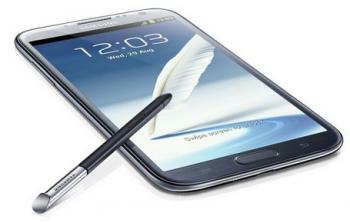 The Note 3 will also not use a curved display. 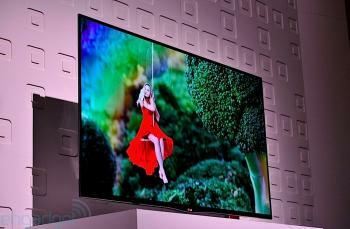 CES 2013 was exciting - what with the new OLED TVs and Flexible OLED prototypes and launches. Barry Young from the OLED Association, one of the world's top OLED experts, gave us his views on the new OLED developments from Samsung, Sony, LG and Panasonic. Thanks Barry! Sony and Panasonic both showed 4K2K 56" OLED TVs, with some parts jointly developed. How close are these two companies to actual mass production? Nanomarkets posted an interesting article on flexible glass (based on their Flexible Glass Market report). Basically they're saying that the opportunities for flexible glass have never been better, and they forecast that the market in 2013 will reach $125 million, and this will grow to over $2 billion before 2020. Interestingly Nanomarkets says that the OLED market will start adopting flexible glass in 2013 - with $4 million in revenue (this will grow to $280 million by 2020). Perhaps Nanomarket thinks that Samsung will adopt flexible glass in their first YOUM flexible OLED based panels?